Ana and Gabe are addicted to froot, the mostly illegal hallucinogen. They also pilot a space ship in a future world. Ana looks and acts like Spicoli from Ridgemont High. The plot is reminiscent of Fear and Loathing in Las Vegas. Weird stuff just keeps happening and that’s it for plot. 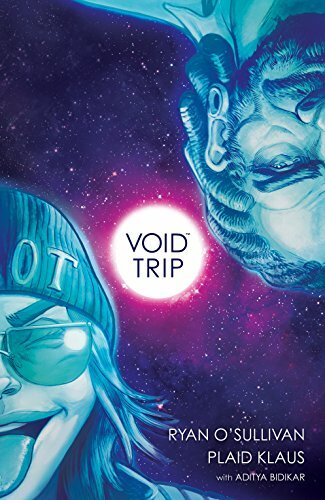 Void Trip misses an opportunity to create an awesome future world. The artwork is well done but the plot is a mash-up of better books. I think froot (or a similar substance) is required while reading. 3 stars!